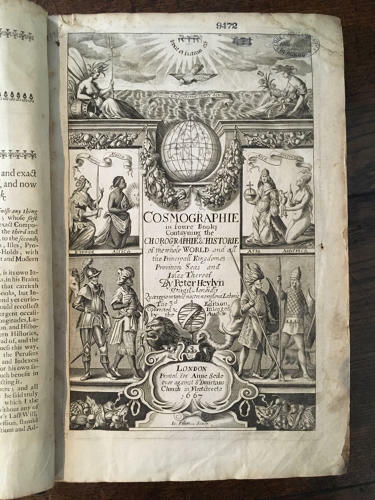 Title: 'Cosmographie in Four Books Containing the Chorographie and Historie of the Whole World, and all the Principal Kingdoms, Provinces, Seas, and Isles thereof', printed for Anne Seile, 1669 'over against St Dunstans Church in Fleet Street'. Ref: Tooley, California as an Island, 12. The 5th edition, corrected and enlarged (although the additonal engraved title states 3rd edition, and is dated 1667). Four maps of the continents and all text present.